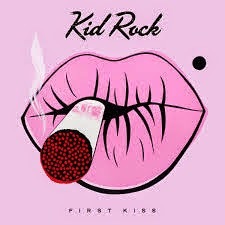 Is the new Kid Rock record First Kiss great? Groundbreaking? Nope and nope. But you know what it is? Full of catchy tunes and a lot of fun. It's full of nostalgia, It's reflective. It's cliche-laden. It's a little bit country, it's a little bit Southern Rock. It's a little bit classic rock. It's a little bit 80s pop. And it's better than anything being played on mainstream radio right now. This comes out at the perfect time as we get out of the February doldrums and look forward to (hopefully) warmer weather. It's an easy listen. Sittin' on the deck or the porch drinking an adult beverage music. Cruising down the road with the windows open and/or top down music. Sing-along-chorus music. Don't want to/have to think kind of music. There is no "Bawitaba" or "Cowboy" on this record. None of the rap/rock that Kid Rock did earlier in his career. If you like the first single "First Kiss" below, there's more of the same throughout the album. February is almost over and I had to get out of my singer/songwriter melancholy funk. Not that I don't enjoy that, it just seemed to be encompassing my music. So I go back to when music was fun. A little Sunset Strip 80s rock. This comes from RATT's Dancing Undercover album, which I think is their best and by far most underrated record. The next song was recommended to me specifically from one of my tweeps. (I love twitter). A band out of California called Walking Tall. Since hearing this song, I have delved into more of their music. Good stuff. County tinged Southern Rock with a hint of 80s pop. What's not to like. I don't know where the new Kid Rock fits into today's musical landscape. I had the chance to listen to his latest record ,First Kiss, all the way through today. There is no "Bawitdaba" or "Cowboy" on it. It's very reflective and nostalgic. I wouldn't say it's great, but every tune is catchy. If this is what he decides to do, I'm all for it. Here's the title track from the album. It reminds me of a cross between Bryan Adams and .38 Special. Whatever, it's better than anything played on mainstream radio. My 14-year-old daughter, who used to love country, but got bored with all the sameness, digs this song. I know a lot of people won't get this, but I'm in love with Lzzy Hale's voice. From their upcoming album, here is Halestorm with "Mayhem". The last thing I'll leave you with is Chelle Rose. I can't believe I haven't heard of her before. Expressing that sentiment on twitter, she tweeted back that we find music at the right time in our lives. I can't argue with that. Swampy and sultry, she's good. New music usually drops on Tuesdays in the United States. I've tried to be pretty consistent lately in featuring new stuff. Today I can't thing of anything that can top Farce the Music's review of the Wrinkle Neck Mules latest release, so I won't even try. Please, read the review, it's fantastic. Nothing having to do with metal can go too long without including Iron Maiden. Since this is my second installment, it's about time. So here is "Wasted Years". Stumbled upon this Seattle-based alt rock/Americana singer/songwriter on Bandcamp. Here's Kate Lynne Logan with "Whiskey Sea" from her album Animal Dreams. Maybe because it's February, it seems like what I've been loving lately has been on the more melancholy introspective side. But the new Butch Walker record Afraid of Ghosts is so good. I wrote more about it here. This is what may or may not be my favorite track, "21+". I promise more diversity next time, but this really is what I'm loving right now. So here's another singer/songwriter. From her Blackbirds album, here is Gretchen Peters with "Black Ribbons". Sometimes I don't even remember how I find stuff. This is the case with Salvation Jayne, a blues rock outfit hailing from Kent, England. This is "Black Eyes" from their three song digital record I'll Be Damned! Good stuff if you like your blues a little rocked out and dirty. Lastly, this one comes from an album I've been looking forward to for months. 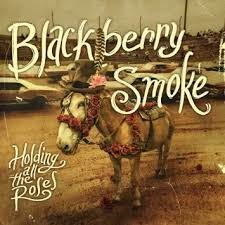 The latest Blackberry Smoke record Holding All The Roses came out last week. I was not disappointed. These countrified Southern rockers delivered. Here's "Let Me Help You (Find The Door)". Warning: a couple of maybe NSFW words, depending on where you're at. That's what I've been loving. Hope I at least expanded you musical horizons beyond what's played on the radio. You know when you are looking forward to a new record release and then it comes out and you're so disappointed? Yeah, I do too. But with Blackberry Smoke's Holding All The Roses that didn't happen. Charlie Starr and the boys bring their country fried southern rock tinged with country to a new level. I'm not sure if there is a bad song on the album. The vocals are not stellar, no blazing guitar solos, just a fantastic band locking into what they do. And doing it well. Blackberry Smoke, along with Whiskey Myers, are doing Southern Rock the right way. Are they Skynyrd? Nope. Are they Marshall Tucker? Nope. Are they the Allmans? Nope. What they are is Blackberry Smoke. And that's a good thing. I could try to break it down song-by-song, but that would be futile. There are heavy doses of Southern Rock, there is honky tonk, there is country. And it's all good. I know it's expected to post a vid of my favorite song. I don't know that I have a favorite yet, so I'll go with this one. Salvation Jayne is a blues/rock band from Kent, England. And they are good. Here's "Black Eyes" from their latest release I'll Be Damned. Enjoy. I originally had this one pegged for Metal Monday, but then dropped the ball on getting it posted. But it works here. The new Halestorm song "Apocalyptic". Singer/songwriter Gretchen Peters' new album Blackbirds came out today. It's good. Here's a sample. Butch Walker's latest release Afraid of Ghosts is a hard listen. But it's oh so good. It's not going to be played at any parties. It's not the record you put on in the summertime with the top down. It's the kind of record you listen to late at night driving by yourself in the middle of nowhere in a cold mist. Or home alone in an introspective mood. Afraid of Ghosts is all about ghosts and loss and death and heartache and heartbreak and hope. That last word was not a typo. If you can wade through all the sorrow, keep going because there is someone counting on you. That being said, I knew it was good on first listen. But after several spins, it gets better. If you are prepared to take a journey into the deep, dark recesses of a man's soul, this record is for you. Consider yourself forewarned. It's not for the faint of heart. "so I wrote a song called “21+”…. and no, it’s not a Florida Georgia line song about trying to get into a bar with a fake ID, cooler full of cold beer, pickup truck, girl, babe, angel, tight jeans yada yada yada… sorry. it’s actually just a sad song with a total bummer of a lyric…. for your sad days. but i like it. so here it is"
Here is the video for "Bed On Fire", which is a bit disturbing in and of itself. 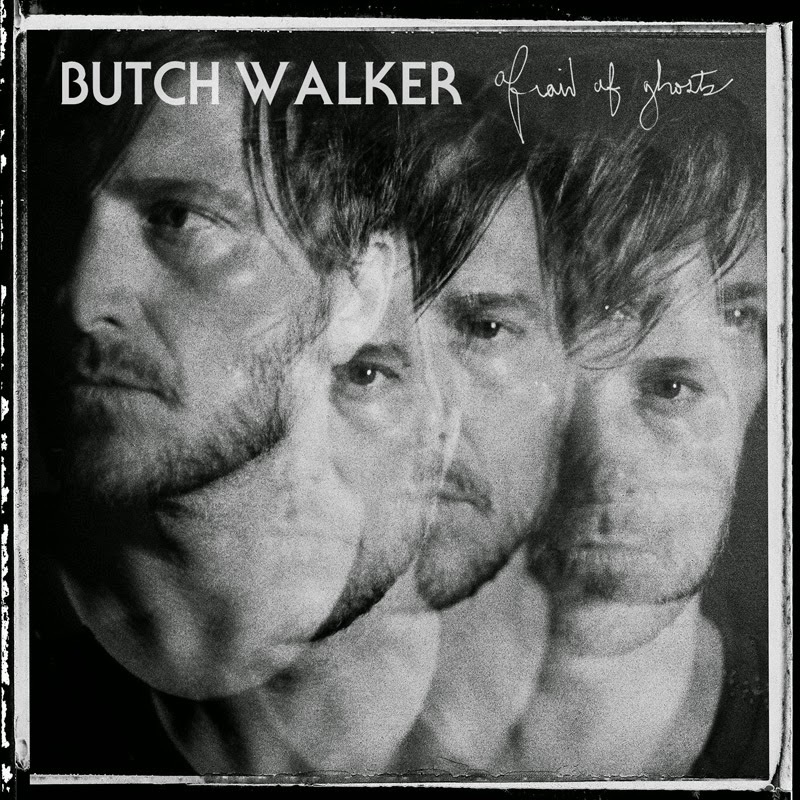 Butch Walker's latest album Afraid of Ghosts dropped today. He had released a few singles leading up to the release. "21+" was one of them. What a great song. I'm just now getting into the entire record, but this song I'll share now. Hauntingly beautiful. "so I wrote a song called “21+”…. and no, it’s not a Florida Georgia line song about trying to get into a bar with a fake ID, cooler full of cold beer, pickup truck, girl, babe, angel, tight jeans yada yada yada… sorry. it’s actually just a sad song with a total bummer of a lyric…. for your sad days. but i like it. so here it is." Kix is not really glam. Too much jeans and leather. But I don't like using the term "hair metal". Although I've embraced the term, many of the artists of that time don't. Kix was never huge, but they are always solid. Actually put out a new record last year. But I'm going back. "Cold Blood" was the first song I ever heard by Kix. And it's probably still my favorite. My views on cover songs have been documented. Most of the time, just give me the original. That doesn't mean there are not covers that I enjoy. Here are two. First is Lita Ford's cover of Alice Cooper's "Only Women Bleed." I love Alice and his original version is fantastic. Lita's cover is spot on and it's nice to hear this song sung in a female voice. Next is Mindy Smith's version of Dolly Parton's "Jolene." Now, nobody can touch Dolly. I like this cover. It's slower and more haunting than the original.